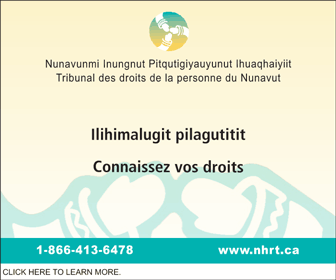 Nunavut’s hamlet councils will host some new faces around the council tables by next week. And it will be up to voters to choose them when they head to the polls Dec. 9. Hamlet elections in Nunavut communities are staggered, meaning that only some communities will elect new mayors this year. Roughly half of hamlets’ council seats will be up for election Dec. 9 — in some cases more, where these have been resignations or deaths leaving council seats empty. Iqaluit is the only community in Nunavut where the entire municipal council is elected on the same day. Here are some of the candidates running in hamlet elections next week, starting with the Qikiqtani region. • Arctic Bay is hosting one of the territory’s bigger mayoral races, with five candidates on the ballot: Leah Kalluk, Philip Kalluk, Andrew Taqtu, Esau Tataoapik and Tommy Tatatoapik. Another 10 candidates are vying for four council seats, each for a two-year term. • Cape Dorset mayor Padlaja Qiatsuq will stay in his position for another year, while four new council members have been acclaimed: Cheryl Constantineau, Claude Constantineau, Kooyoo Pudlat and Qimmiataq Nugusuituq. • In Clyde River, three candidates — Noah Kautuq, Andrew Iqalukjuak and Jerry Natanine — are running for mayor, while another eight candidates hope to fill five council seats. • Grise Fiord mayor Liza Ningiuk has a year remaining in her term. Three new councillors have been acclaimed, although one council seat remains open. • Hall Beach mayor Paul Hauli is running again, but he faces competition from seven candidates: former mayor Ammie Kipsigaq, Cain Pikuyak, Jason Kaenerk, Jayco Simonie, Peter Siakuluk, Solomon Curley and Timonie Pikuyak. Another 12 candidates will vie for six council seats. • In Igloolik, mayor Joseph Inooya holds onto his job for another two years, and four new councillors have been acclaimed. • Kimmirut mayor Kiponik Arlooktoo will stay put another two years, while eight candidates run for four seats. • Pangnirtung will see a get a new mayor when voters choose between Manasa Evic, Jeanne Mike and Mosesee Qappik. They’ll also elect four new councillors from a group of five candidates. • Pond Inlet mayor Jaykolassie Killiktee will take a run at re-election, but he’ll first have to beat four other candidates: Peter Aglak, Jayko Alooloo, Charlie Inuarak and Abraham Kublu. Seven other Pond Inlet candidates will vie to fill five council seats. • Qikiqtarjuaq mayor Mary Killiktee has another year left in her term, but voters will still have to decide who from among nine candidates to choose to fill four open council seats. • In Resolute Bay, Ross Pudluk and Marvis Manik will battle for the job of mayor. Three hamlet councillors have been acclaimed there, but another three seats remain open. • Finally, in Sanikiluaq, Elijassie Sala is running against Joe Arragutainaq and Jacob Uppuk. Eight local candidates are running for four open seats. In the Kivalliq region, Rankin Inlet mayor Robert Janes will complete his term, while five candidates run to win four council seats. • Arviat is hosting one of the biggest races in this round of hamlet elections, while current mayor Bob Leonard faces competition from seven other mayoral candidates. If that race wasn’t big enough, another 21 candidates are running for six council seats, making one of the community’s largest municipal races ever. • Next door in Whale Cove, mayor Stanley Adjuk Sr. will finish his term, while the community of 400 has produced 15 candidates to run for four seats on council. • Coral Harbour, which has seen a few mayors in recent years, will get a new mayor Dec. 9 when four candidates face off for the hamlet’s top job: Willie Adams, Simeon Dion, William Nakoolak and Jackie Nakoolak. Another 13 candidates are vying for four council seats. • In Baker Lake, current mayor Joseph Aupaluktuq remains in that position, while 11 candidates run for four open council seats. • Repulse Bay’s mayor Hugh Haqpi will also stay in his job for now. Nine local candidates are running for the hamlet’s four open council seats. • And Chesterfield Inlet will also elect councillors Dec. 9 – four of them, from a group of 12 candidates – while mayor Harry Aggark finishes his term. The mayoral races are much quieter in the Kitikmeot region this year. • Taloyoak is the only community that will actually elect a new mayor, from two candidates: Joe Ashevak and Charlie Lyall. Local voters will also elect four new councillors, from a group of eight candidates. • In Cambridge Bay, current mayor Jeannie Ehaloak has been acclaimed for another term. That community will also elect five new councillors to two-years terms from a group of nine candidates. • Gjoa Haven mayor Allen Aglukkaq will stay on to complete the last year of his mayoral term, while 13 candidates vie for four council seats. • Kugaaruk is in a similar position; its mayor Stephen Inaksajak will hold onto his job for another year, while 11 candidates run for four seats. • And finally, in Premier Peter Taptuna’s hometown of Kugluktuk, Red Pedersen was acclaimed as mayor, while five candidates are running for three council seats, each for a three-year term. To vote Dec. 9, you must be 18 years of age and provide proof of residency in the community for at least 12 months. Voters must be registered; you can contact your local returning office for questions about how to vote. 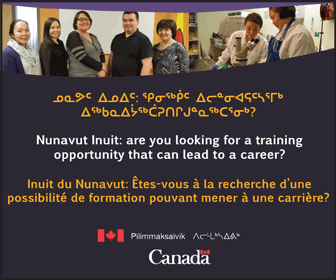 Polls will be open in Nunavut communities Dec. 9 from 10:00 am to 7:00 pm.